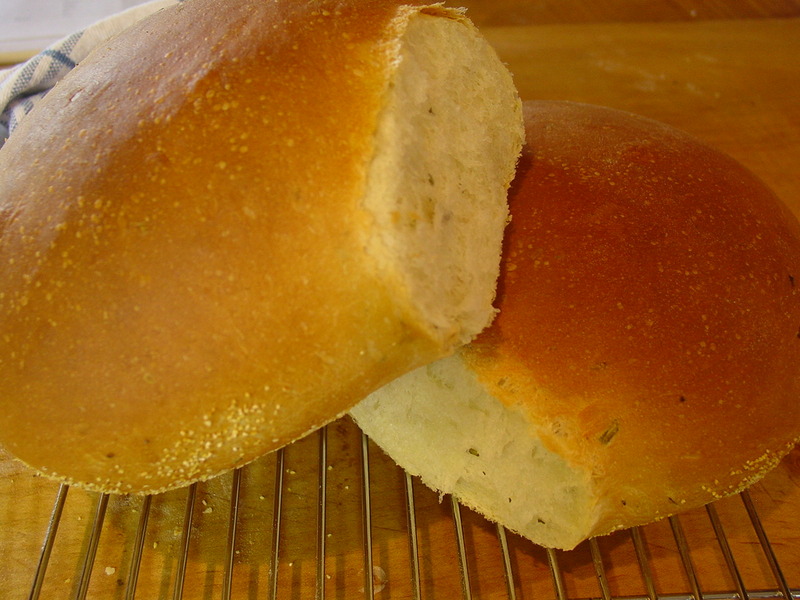 Tuscan Bread With Rosemary & Olive Oil – Use a good quality olive oil. It has a tender crumb and is very tasty! * the quantity of flour differs according to the weather! Start with 2 1/2 cups and then add if needed. Put the water in a large bowl, add the yeast, and leave it 10 minutes, until the mixture is frothy. Add the flour, oil, salt, and rosemary. Stir until mixed then transfer to floured surface. 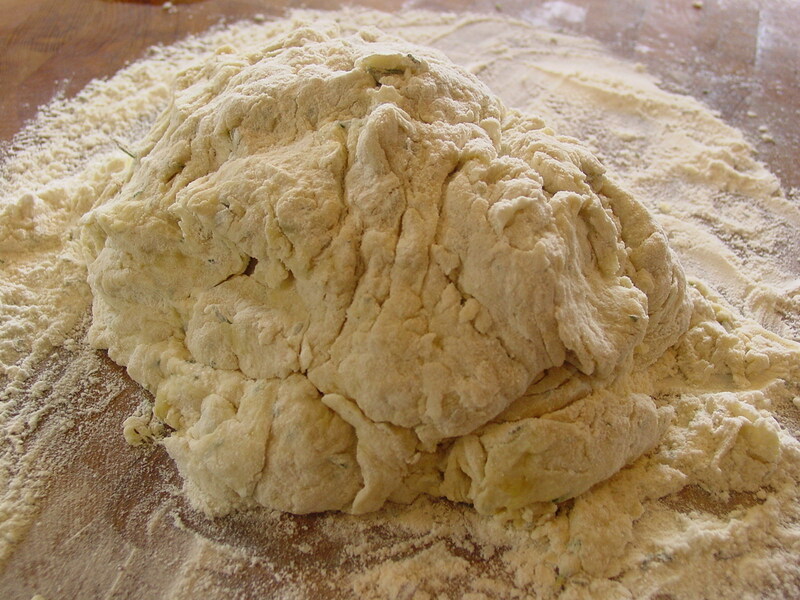 On the floured surface, knead the dough for about 12 minutes, until it is satiny and elastic. Form the dough into a ball and cover on floured surface to rest for 45 minutes. Meanwhile, prepare the pan on which you will put the bread: Place parchment paper on the baking sheet and sprinkle corn meal on it. The corn meal will raise the dough and let air circulate under it. 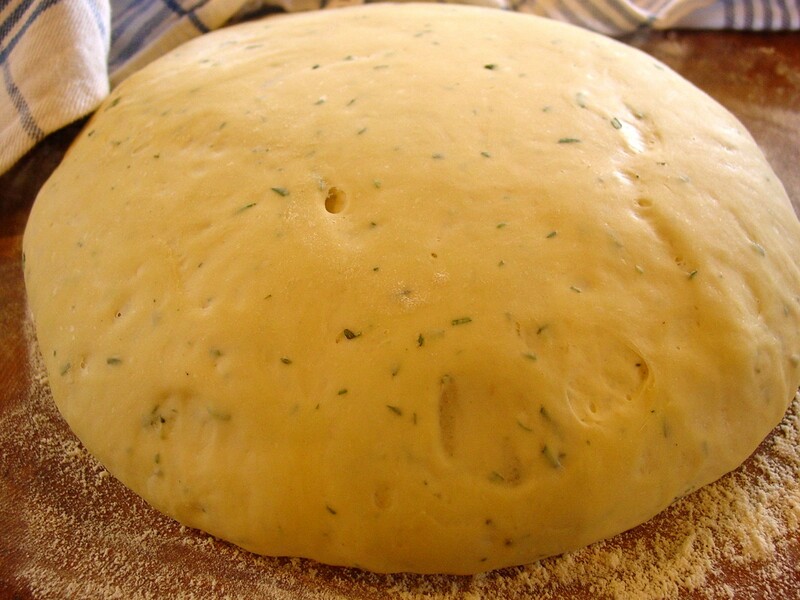 Punch the dough down, and form into a large ball. The surface will be smooth, as in the photograph. Allow to double in size which should take about an hour. Place on a baking sheet covered with parchment paper & generously sprinkled with corn meal. Allow to rise in a draft free place, covered with a kitchen towel, another 45 minutes. In the meantime, preheat oven to 450 degrees and fill a shallow saucepan or skillet with water. The steam will make a hard crust. 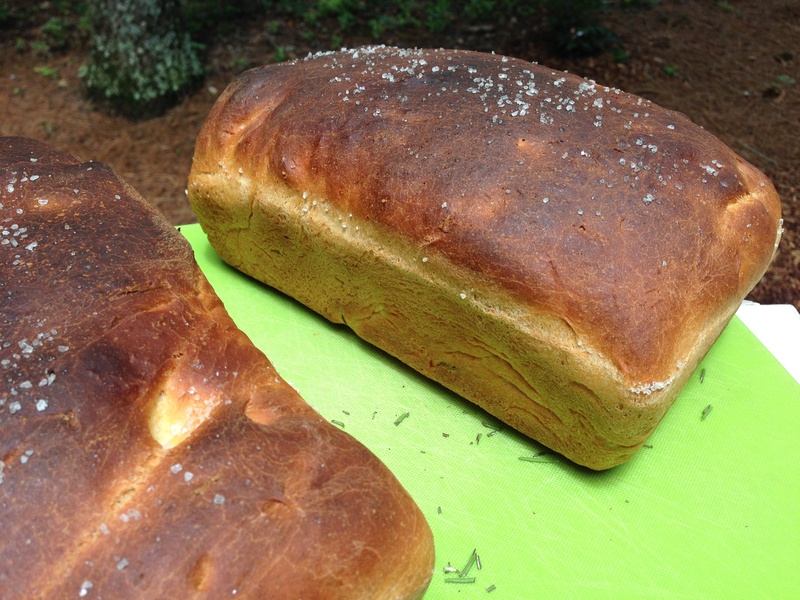 When bread has risen and oven is preheated , place pan with water on lower shelf and bread on middle shelf. Place the bread in the oven and immediately lower temperature to 400 degrees and cook until golden, about 40 minutes. Transfer to rack and allow to cool. This bread keeps well and makes delicious sandwiches. This recipe can be divided in two after the second rising. 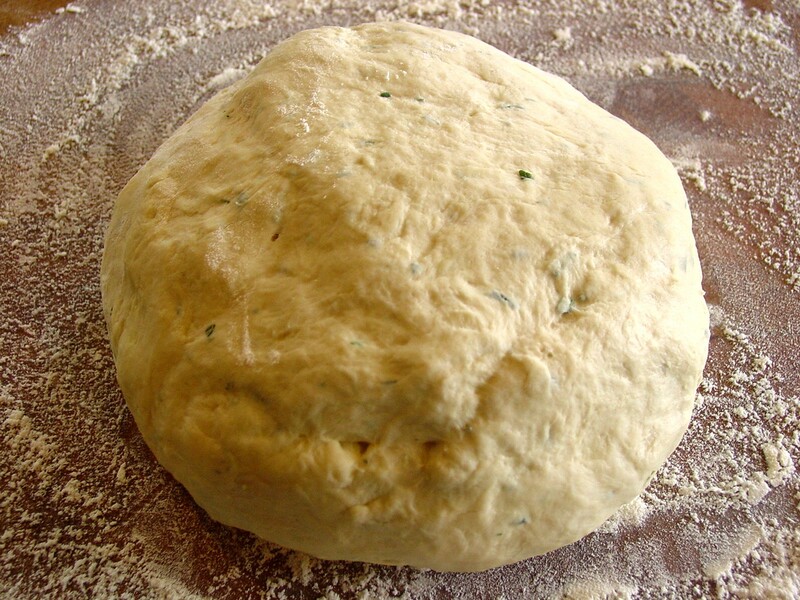 Cut the ball in two and gently roll the dough on a floured surface to make a log. Place on a parchment covered baking sheet with corn meal sprinkled on it or even better with a specialty pan to make “Italian Bread”. These were purchased from the King Arthur Flour web site. Cooking time will be less – about 25 minutes. 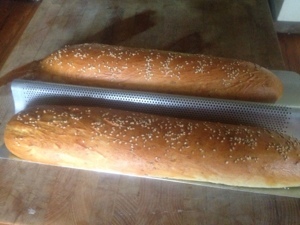 These loaves were given a little egg washed and sesame seeds sprinkled on them. Yum!!! Another shape can be the standard loaf pan.